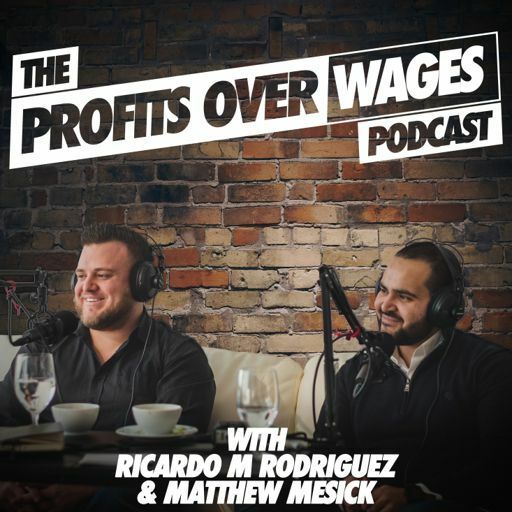 Welcome to episode #13 of the Profits Over Wages Podcast, we talked to husband and wife real estate duo, Billy Colestock and Yesenia Nogales from sunny San Diego - they are real estate brokers and investors and have been in the real estate industry since 2007. They also own a property management company called WeLease and believe in having a business worth owning, a career worth having, and life worth living. And on top of all of that Billy also hosts a show on Facebook called Real Estate Shake-Up with fellow investor and broker, Andrew Greer. On this episode, we talk about why finding a partner that compliments your strengths is key, why you can’t be afraid of failing and how failures often set you up for future successes, and why being humble when starting out and seeking mentors can be the best thing you can do.